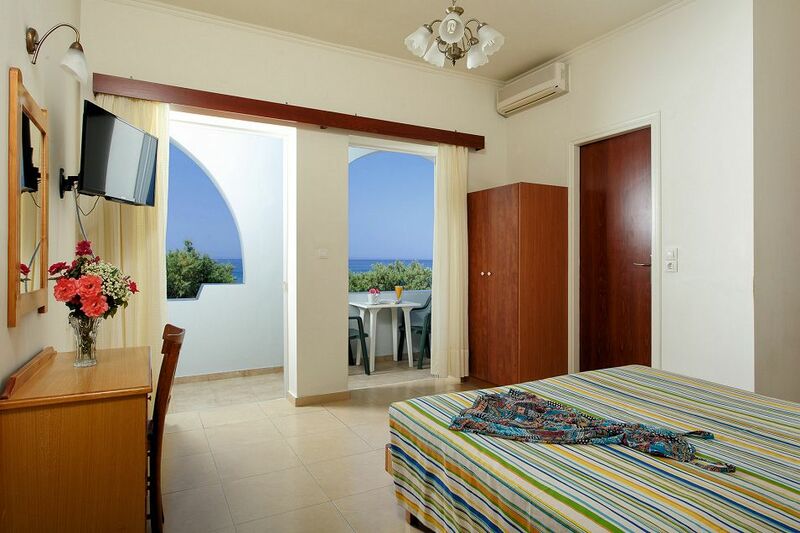 There are rooms with sea view and rooms with view to the mountains. Please view our photo gallery to get an impression of the spacious, nicely furnished double bed rooms. There are rooms with a double bed and others with two single beds. Also the triple bed rooms impress by their practical furnishing and complete equipment of the kitchenette. Bed linen change every 3rd day, towels daily.